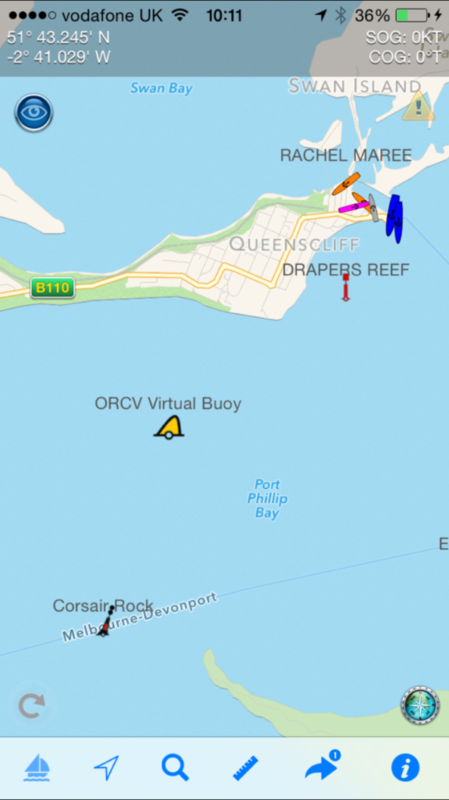 Pocket Mariner are pleased to be sponsoring the ORCV’s (The Ocean Racing Club of Victoria) Melbourne to Port Fairy Ocean Yacht Race this Easter. We are providing complimentary copies of our Boat Beacon app to all the entrants and race officials so they can track the fleet over the 135 mile race. We have also set up 5 Artificial Aids to Navigation for the start and finish of the race, marking Drapers Reef at the start line, ORCV Virtual Buoy, Point Lonsdale Light, Corsair Rock and Nunn buoy at the finish line. The AtoN’s are visible in Boat Beacon and our Boat Watch apps.